Want to play an integral part in influencing the future of infrastructure within the Department and directly contribute to transitioning the Department to a multi-channel hybrid cloud ecosystem?! As Cloud Team Leader your focus is on providing strong technical leadership, along with expertise and guidance for the build support, delivery and management of the Department's consumption of Cloud Infrastructure and Services. Another core focus is the management and leadership of the Infrastructure Cloud Operations Team. You must also have a high level of communication and relationship management skills, along with the ability to think outside the box and influence others. Along with the opportunity to work within a large, complex and very interesting IT environment, you will be rewarded with an attractive salary, development opportunities, and an engaging team that is focussed on looking at new solutions and innovative ways of doing things. 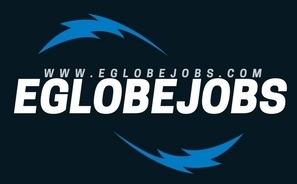 Tags # jobs in new Zealand # Jobs in USA. Labels: jobs in new Zealand, Jobs in USA.